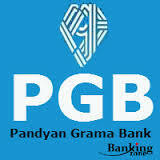 Pandyan Grama Bank Final (Interview) Results out : Pandyan Grama Bank has released the lists of provisionally selected candidates for the posts of Office Assistant (Multipurpose), Officer Scale I, II & III. The bank has invited online applications for filling up the posts of Officer in Middle Management Grade (Scale III), Officer in Middle Management Grade (Scale II), Officer in Junior Management (Scale I) Cadre and Office Assistant (Multipurpose) from 2nd June 2015 to 17th June 2015. Based on received applications the bank has shortlisted several candidates and conducted interviews during the months of July and August. Now it has came out with the results of those interviews.